Prominent & Leading Manufacturer from Faridabad, we offer aluminum couplings for fire fighting. We have gained huge accolades by our clients for our excellent quality range of Aluminum Couplings For Fire Fighting In Aluminum E.G Quick Connect Couplings. 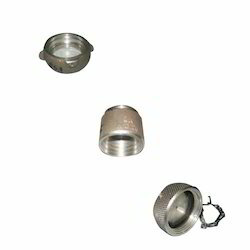 These are manufactured using superior quality materials, procured from reliable vendor and find a wide application across various i We are leading provider of wide range of Couplings for Fire Fighting in Aluminum E.G Quick Connect Couplings that are sturdily constructed as per prevailing industrial norms. Further, our range of products is highly demanded across the market for their comprehensive features such as high durability and longer service life. Our product range is developed as per the specifications provided by our clients. Moreover, this product is offered at reasonable prices to meet the budgetary constraints of our clients.industries. Looking for Aluminum Couplings ?